Joyce Sasse - While bells around the world ring out to mark the 100th anniversary of the end of World War I, our battle for freedom continues. So long as refugees feel they have to flee from their homelands … So long as security costs form a mega part of public event budgets … So long as political debate in any country creates extremes of polarity among its citizens … So long as we feel big business interest cannot be trusted … the battle to aspire to freedom continues. Read The Alice Network. 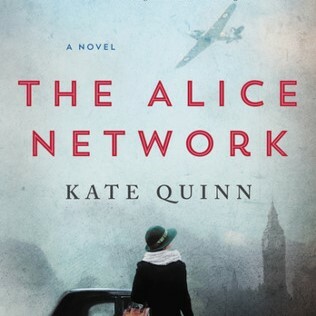 As background for this intriguing novel, author Kate Quinn did an incredible amount of research concerning female spies in “The Great War”. Louise de Bettignies, known as the Queen of the Spies, organized the Alice Network. She was born to an impoverished manufacturing family in France, but assumed a more noble identity. While on a visit to England, British Intelligence recruited her to work for them in German-occupied northern France. She was quick witted, and was fluent in French, German and English. She immediately set up a network of men, women and children who could collect information on the enemy (such as train schedules, troop numbers and locations, and artillery placements). The novel relates stories about the lives of the many spies who worked for Louise. They employed numerous identities, carried coded messages in innumerable ways, and outwitted the guards – sometimes as apparently witless females chattering gossip, or by fussing with armloads of packages to create distractions. Louise and her colleagues faced incredible odds and suffered unbelievable hardship. This historical novel passes on other real-life notations. Red Cross nurse Edith Cavell smuggled many wounded French and English soldiers to safety from Belgium. Young Gabrielle Petit led downed-pilots from behind enemy lines. A Belgium vicomtesse ran a successful organization for passing information to people in the Netherlands. Cavell and Petit were arrested, condemned for espionage and shot by firing squads. The vicomtesse was imprisoned for three years under gruelling conditions. Read The Alice Network and notice how seemingly ordinary people are called on to do extraordinary things. As the battle for freedom continues, how might we use our God-given talents to do our part?